Jason Tate Jaeger married Deborah Renee Houghton, daughter of James Stephen Houghton and Lou Cindy Ramsay, in Jul 29, 1995. Trisha Joan Daniels married David Carlyle Houghton, son of James Stephen Houghton and Lou Cindy Ramsay, in Dec 13, 1997. Robin Shawn Wolkey married Jon David Houghton, son of Milford Jerome Houghton and Elizabeth Eleanor Kemp, in Oct 26, 1984. Annie Marie Lawrence married Calvin Clark. Marion Cadle married William Emmett Houghton, son of Dr. Harris Ayers Houghton MD and Virginia Boyd Dudley. Emily J. (?) married Morris Houghton, son of Alba P. Houghton and Phydelia Arnold. 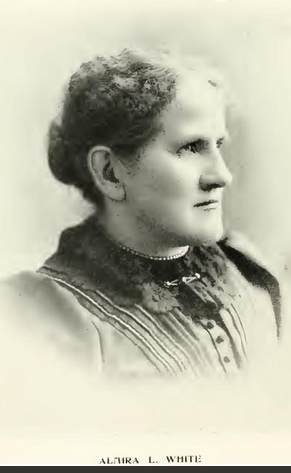 Eva M. Houghton married (?) Crofoot. Eva M. Houghton married Eugene Couran in Feb 13, 1890 at Mears, Oceana Co., MI, USA. Margaret Elizabeth Haughton married William Mennifee in circa 1899 mar 1 y in 1900 census. William Mennifee married Margaret Elizabeth Haughton, daughter of Matthew Haughton and Elizabeth Code, in circa 1899 mar 1 y in 1900 census. Steven Phillip Houghton married Jennifer Lund. Jennifer Lund married Steven Phillip Houghton, son of Phillip Dale Houghton and Barbara Venice Gries. Judith Lucille Frogge married Alexander R. Sim. Alexander R. Sim married Judith Lucille Frogge, daughter of Harrison A. Frogge and Beatrice May Martin. Helen C. Martin married (?) Burns.